As the temperature goes down, so does physical activity. It’s harder to stay active for long periods of time, and lots of us would rather binge watch a show with blankets and hot chocolate than go for a run or play basketball. Some people settle with the fact that there isn’t anything better to do. In reality, there are many things in Lancaster County to do when the weather gets colder. If puzzle solving isn’t your style, and you’d rather bounce around, SkyZone in Lancaster is something you might want to check out. For $12, you can bounce on the many trampolines they have, jump into a foam pool and play ultimate dodgeball for half an hour. If you want more time, you can add 30 additional minutes for $4. It’s strongly suggested to buy tickets ahead of time, so you are able to jump when you want. And if that doesn’t sell you, when you come to SkyZone, you’ll leave with a pair of neon orange socks that you can wear if you return. For hours and to pre-purchase tickets, go to www.skyzone.com/lancaster. If you’re not into jumping and can’t really do cool flips and would rather shoot your friends with lasers, check out Laserdome in Manheim. For $15, you get 40 minutes in “The Dome,” where you run over ramps and under structures to try to shoot the opposing team’s base with lasers. But you have to watch out, though, since the opposing team will be aiming at you. Ten additional dollars will double your time. In the lobby, there’s a full arcade with games like “Call of Duty” and a roller coaster simulator, and a laser course that you can crawl through to try tp beat it. For group prices and hours, go to laserdome.com/. If you’re a bad shot and better on wheels, The Castle Roller Rink in Lancaster might be for you. Each night is a different theme, and the prices range from $5-$7. If you’re a beginner, there’s an area in the middle of the skating rink for you to practice. If you’re more advanced, the outside ring is where you can go as fast as you want and do tricks. Quad skates are $3 to rent, while inlines are $5. There’s an arcade and a food court for when you get tired. There’s music playing the entire time, and there are request nights for when you want to hear a certain song. Mixed in with the free skates are games like the limbo, the chicken dance and backwards skates. Justin Arment, a homeschooled sophomore, said that his favorite game he’s played there is the backwards skate. For themes and specific prices, go to castlerollerskating.com/. 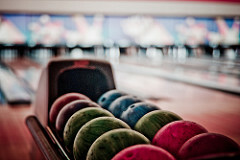 Bowling is fun to do on a cold day with a group of friends. And if none of that interests you, you might like Leisure Lanes Bowling and Golf Center. It’s on Columbia Ave and is a frequent spot for high school students to bowl. For bowling, it’s $4 per game, per person and $2.50 for shoe rental. Glow bowling starts at 11 p.m., and in between games, you can play pool, get some food and win stuffed animals in the arcade. Bowling is open 24/7, so you can go wherever you want to. James Mintzer, a senior, said that his favorite memories there are during cast parties for the musicals he’s been involved in. For party prices and to pre-reserve lanes, go to www.leisurelanespa.com/. As you can see, there’s a lot of different things to do as the temperature drops. The question is, which one are you going to do first?